A recent research informs us that Samsung, the rather-troubled, yet still-dominant smartphone maker, smokes all of its rivals when it comes to R&D expenses - just in 2014, the South Korea-based giant has reportedly spent some $13.4 billion in 2014 for the research and development of new technologies. Samsung is the biggest spender among the IT-oriented companies when it comes to innovations and holds the second spot among all global companies, surpassed only by the Volkswagen corporation. This was revealed in a research conducted by the Strategy& analyst company, which sorts global companies in accordance to how much they've spent on research and development for the year. Interestingly enough, Sammy has kept its top-tier spot for a second consecutive year - back in 2013, it was once again the biggest spender among the IT-related manufacturers, having spent $10.4 billion. Intel, one of the larger chipset manufacturers, comes in third thanks to the $10.6 billion it has spent on R&D in 2014.The only other IT-centric companies that have made their way to Strategy&'s 2014 R&D report are Microsoft and Amazon, residing on the 4th and the 14th spots, respectively. On the other hand, Apple, Samsung's gravest enemy on the market, is nowhere to be seen in the big R&D spenders' list. Samsung debuted some rather innovative devices in 2014 - the Galaxy Note Edge with its intriguing display immediately pops into mind. Hopefully, the giant will be able to enjoy the fruits of its R&D labor in 2015, a year that will certainly be of great importance for the troubled manufacturer's well-being on the smartphone market. You do realise Samsung produces home appliances, products for army, medical equipment and s**tloads of other stuff? Them being on no1 is kinda obvious and I am sure none of you clueless noobs have idea that not all that money goes for the mobile division which for samsung is a small part of its colossal business of many things. exactly what i'm thinking, those r&d expenses are not all spent on mobile division, phonearena should concentrate on mobile division instead of the whole company itself if they try to compare other's r&d expenses. Yes, the author is not saying anywhere that Samsung spends $13 billions for R&D just for its mobile devision. But the article is misleading because it compares Samsung's complete R&D spending with the spending of pure IT related companies which can distort the information taken from the article if you don't pay attention. Flawed logic....Samsung was 18th in R&D spending only ten years ago, now it's 2nd. Moreover, Microsoft is similar to Apple, but Microsoft is 4th in R&D spending, and Apple is no where to be seen. Then again, it doesn't take too much money to patent rectangles with smooth edges, and bunch of prior art as new innovations. 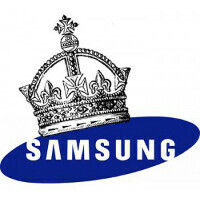 Samsung tends to have high quality from their washers, refrigerators, to their mobile devices. Sure Samsung has lots of stuff to test & sure their R&D business must be BIG. I get all that & you make some good points. BUT... You do realize that the list the author provided CLEARLY says Samsung is #2 in Computing & Electronics, implying their Mobile business like Computers, Mobile Phones & Mobile Tablets... So we can assume "home appliances, products for army, medical equipment and s**tloads of other stuff" is not included. So maybe you might want to include yourself into the "clueless noobs" group you so cleverly coined, cause your whole post #12 is pretty noob'ish to me. You must be one of our rather simple minded forum members. The article clearly compares Samsung's complete R&D spending. Why do you think the article mentions that Volkswagen is ranked #1? They aren't a Computing & Electronics company. Please read carefully and think before you write. You are right samsung is the largest tech company even bigger than apple. Its obvious why they make the most revenue. They have so many customers. Samsung is constantly spending money. I bet if they didnt spend all that money they could pass the 1 trillion mark in 5+ years. Yeah, they are huge. In Korea they produce cars as well, their own brand. yeah! that's not suprise at all, because all those billions they had spend are not just for mobile division. The most directly comparable company to Apple is Microsoft. They both produce desktop and mobile OSs, PCs, phones, and apps/applications. MS is number 4, Apple isn't there. Apple rode the Apple 2 and Macintosh for years but now they're an also ran in PCs because they relied on the sizzle, not the steak. With an innovative iPhone 1, a lot of marketing, and a confining ecosystem, they're doing well in the mobile market at the moment. But Android is beating iOS by a mile (Google is #9 on the list) and most of the iPhone 6's "innovations" have been copied from Android phones. Then there's the iTunes case that could break down their walled system, not to mention the FBI raid in California investigating illegal iPad contracting practices. Don't be surprised if, in a few years, iPhones join Macs as niche products. What do you think did Apple spend to develop the iPhone 1? If I follow your logic, Apple must have been among the top R&D spenders the years before the launch of the iPhone, iPad maybe even the iPod, but they weren't. Developing a smartphone is cheap. If your Microsoft comparison was right, how come that Microsoft is performing so much worse than Apple even though they spend much more money on R&D than Apple for many years? What did Apple research and develop for the iPhone 1? Their innovation was the use of a capacitive (rather than resistive) screen which they bought and the replacement of a physical keyboard with a virtual keyboard which was available years earlier in WinXP and Palm OS. As far as why Apple is doing better than MS, they're better at marketing. MS is still, at heart, a company of nerds and geeks. Apple is a marketing machine with an accounting department that has tax dodges down to a science. If you want to use sales revenue or unit sales rather than profits, Windows beats OSX, Windows PCs beat OSX PCs, Android beats iOS, and Android phones beat iOS phones. To be honest, I don't think that Apple's success over Microsoft is so much about marketing. Apple simply had the right products ready earlier than Microsoft. iPod vs. Zune, iTunes Store vs. xBox Music, iPhone vs. Windows Phone, iPad vs. Surface. Mac OS X is the better OS than Windows but Windows is the de facto standard because Microsoft had the right products ready earlier than Apple in the 80ies (Microsoft Office). I think it is rather about right timing than marketing. With marketing you only defend what you've gained through innovation. Apple don't even do any research or develop any innovations. They just copy and tell it as their own. They don't tell. They Patent. All unjustifiable things they Patent. Morons. Sick Jobs Sick Cook. Great Sammy. Keep it up. wow, LG aren't in the top 20. With there flexible cable battery, flexible displays, self healing back and who knows what else, is pretty surprising. Yet, theyre always blatantly accused of copying things from others.. ..and why does people say they are a troubled company? They didnt hit what they were expecting, but theyre definitely making much more profit than any other Android OEM. though we still have all bloated and laggy touchwiz same design language... since s3 And this doesnt necessarily mean they spend all that R & D money in developing smartphone They manufacture wide array electronic products....!! I agree with you on the occasional lag, but TouchWiz on the S3 is WAY different than today's TouchWiz say on the S5 or the Note 4. R&D? How much R&D do they need to make the iPhone 6S & iPhone 6+S?